I found this Raptor in one of the piles of old miniatures that are lying about the place, and I took mercy upon it, as it only had one leg. So I mounted it with some wire, slapped some plastic putty over that, and when painted, hid it in the bushes. 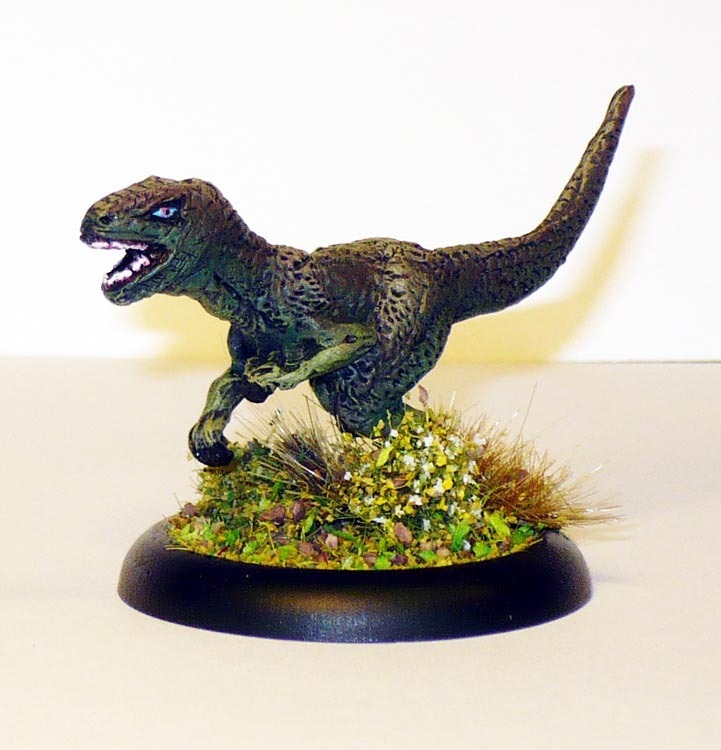 I love these lizardmen raptors made by Harlequin Miniatures in the 90s. Still one of the better dinosaur-like sculpts out there. And there was a full line up of matching lizardmen, including larger raptors with riders. I made an army for “Raven”, Harlequins battle game, with them back in the day. Maybe I’ll dig them out of storage and rebase them for Kings of War.